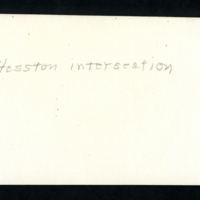 Hesston intersection. Appear to be the intersection where main street and old highway 81 meet. 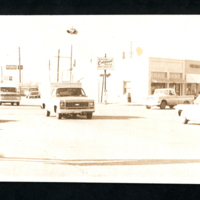 unknown, “Hesston intersection,” Hesston Public Library, accessed April 25, 2019, https://hesston.digitalsckls.info/item/1729. 7.5 in. x 3 in.